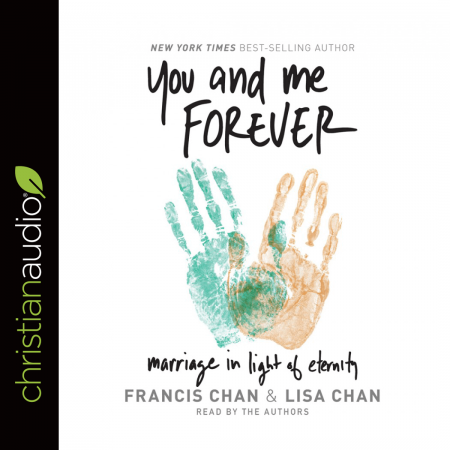 You And Me Forever by Francis and Lisa Chan is the best kind of bait-and-switch. It looks like a marriage book, and it sounds like a marriage book, but it’s not REALLY a book on marriage. It’s really a book about having the eternal view of every aspect of life, including marriage and parenting. It’s a book about seeking first the Kingdom of God and everything else, including a healthy marriage, flowing from that. And it’s about seeing everything you have, including your marriage, as something to be used for the mission of God in this world. I estimate only about 25% of this book directly addresses marriage and marriage issues. I’m reluctant to let that cat out of the bag, because the best-case scenario would be someone beginning this book with their guard down, expecting some “tried-and-true marriage tips,” and getting creamed unawares by the Chans’ amazing vision of living a life focused on God and His mission. This book rocked me like none I’ve read in a long time. It’s unquestionably the best book I’ve read all year, and the best marriage book I’ve ever read—if it indeed qualifies as a marriage book. This book is a manifesto of daily discipleship, in light of eternity. It was simultaneously water for my parched soul, and painful, jolting stab of conviction to my heart. This is a book for married people, single people, people with kids, and people without them. The American church desperately needs the message of this book. Francis and Lisa Chan do an excellent job of narrating the book. At first I found the narration a little dry. However, as the book goes on, both of them speak with deep conviction and seriousness, practically pleading with the listener to repent of their small view of God and His mission. It’s prophetic stuff, and I’m so glad they narrated it themselves.